Survey asks: How you dune? The Michigan Office of the Great Lakes wants to know: How you dune? No, they’re not pulling a Joey Tribbiani. They just want to know how you use Michigan’s coastal dunes and what they mean to you. 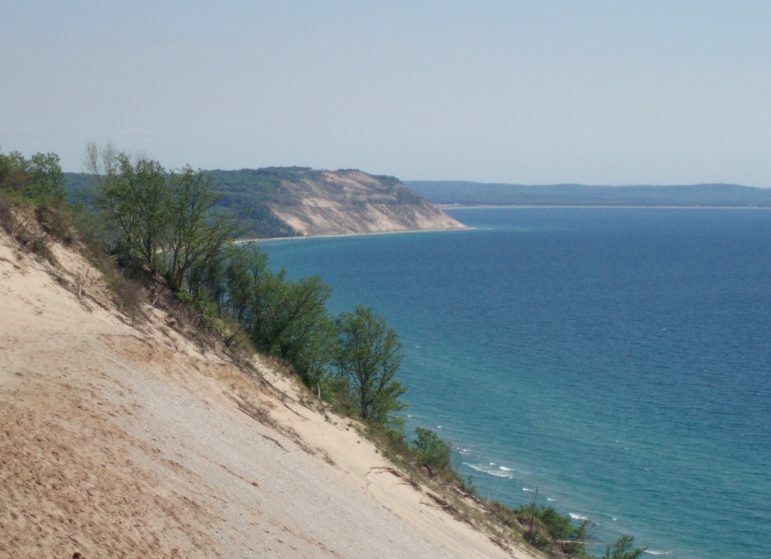 The first ever Freshwater Dune Summit took place in Muskegon, Michigan, earlier this month. Today, the conversation will continue with the launch of a dune user survey. The online tool gives dune users who didn’t attend the summit the chance to join the conversation. The survey asks participants where they recreate in the dunes, what activities they do there, how much they spend and more. The goal of the survey is to better understand how people use dunes, so groups can be smarter about rallying people around their conservation and optimizing their economic output. The survey was first announced at the summit, which brought together over 60 scientists, natural resource professionals, outdoor recreation enthusiasts and others to discuss and learn about dune ecosystems. Participants explored the dunes by foot, bike and kayak and attended educational sessions. The event was organized by the Michigan Environmental Council, Heart of the Lakes and West Michigan Environmental Action Council. Visit www.howyoudunesurvey.com to chime in. Learn more about Michigan’s Coastal Management Program.